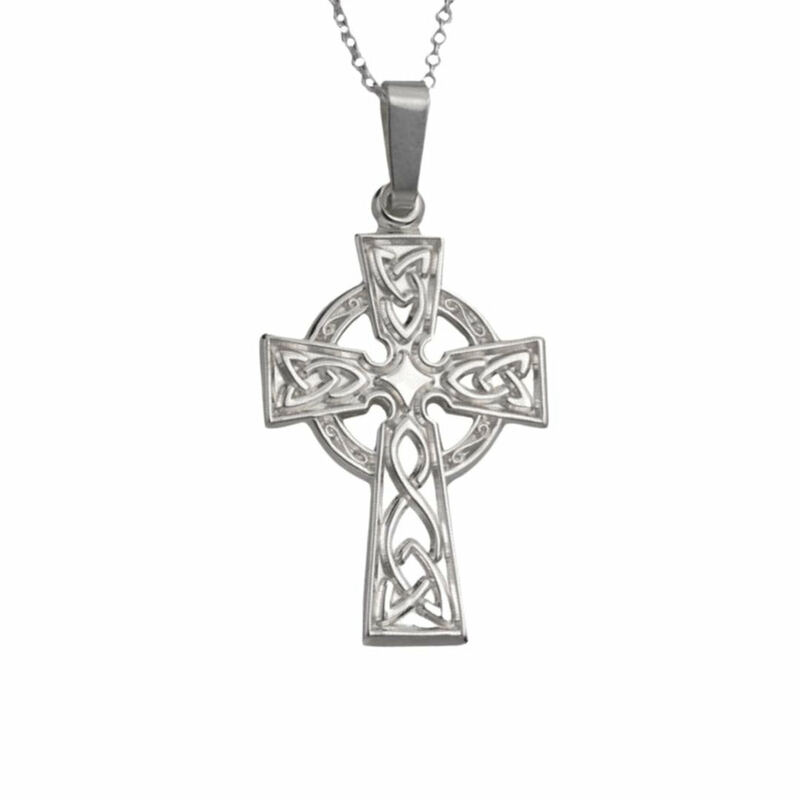 Sterling silver Celtic cross necklace featuring traditional Trinity knot design. Measuring 32mm high (including bale) and 15mm wide, this sterling silver Celtic cross features a traditional Trinity knot Celtic knot relief. Handcrafted in Dublin and hallmarked at the Irish Assay Office in Dublin Castle. Fitted with 18″ sterling silver chain. Free shipping and 30-day money back guarantee on all purchases.